Blog | CleanAirNow – KC metro area and NE Kansas | Dedicated to improving air quality in Kansas City and the surrounding region, particularly in communities suffering the greatest health burden, and to preventing and mitigating disease caused by air pollution. Fall is here, the semester is in full swing and we have a new team of KU Student Interns. We will continue our search for poor air quality in Lawrence, Topeka and the Kansas City area. We have located many potential sources that pose a threat to the quality of air, and will begin taking action this upcoming week! We have an exciting project coming up Spring 2019 so stay tuned, and like us on Facebook (@cleanairnowkc) and Twitter (@MoKanCAN). Our coalition’s team consists of seven members, all from the University of Kansas. With their help we aim to evaluate the problem in the local areas, and educate the public on the dangers of air pollution and what they can do to take action. Payton Templeton, a native Kansan, is pursuing a degree in Environmental Studies with a minor in Communications. 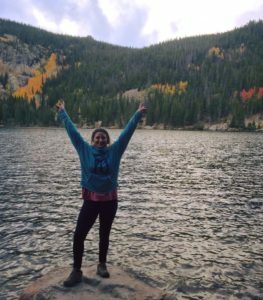 After a summer of traveling throughout the Midwest, she realized the need for environmental justice & conservation advocates. She wants to focus on policy changes for a cleaner planet and spreading the word of increasing our quality of life. 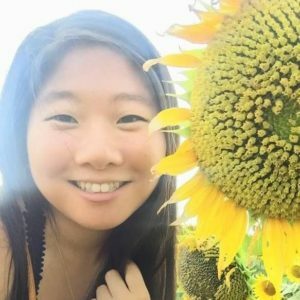 She will be the editor of our social media presence, helping with community outreach, as well as air quality monitoring. 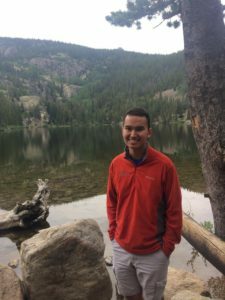 Aldin Tollison is an undergraduate senior studying Geographic Information Systems from Overland Park, KS. He will be mapping out the air pollution data to find pollution hotspots throughout the study area, as well as air monitoring. He joined the CleanAirNow team due to his interest in how air pollution affects urban populations. April Snay, a graduate student in Urban Planning got her undergraduate degree in Environmental studies. Growing up in Minnesota, she spent much of her time outdoors where she first learned her love for the environment. April will help with community outreach, air quality monitoring, as well as policy issues dealing with idling. Like many of us, she is excited about helping and educating the community on air quality issues. 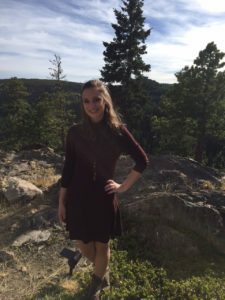 Hanna Baird, born and raised in the small town Pratt, Kansas, got her Associate’s degree from Independence Community College, and is now studying at the University of Kansas majoring in Environmental Studies and minoring in Geology. She lives in Lawrence with her partner, their 1-year-old son, and dog. Her personal goals for Clean Air Now are to learn more about air pollution and how it affects her and her family, as well as spreading that knowledge. Her focus with Clean Air Now is to get more involved with the public, so that more people can understand our findings and help them become just as active and passionate about fighting air pollution as our organization is. Megan Rush, a graduate student received her bachelor’s degree in environmental studies, and is now pursuing a Master’s degree in Environmental Assessment. She also received a degree as a certified veterinary technician from Denver, Colorado. After an internship in Alaska, Megan became interested in air quality issues, more specifically the effects they have on wildlife. She will be focusing on funding opportunities as well as monitoring for air pollution. Cole Bunker is a fifth year senior from Overland Park, Kansas. He is an Environmental Studies Major and Business Minor, with an interest in GIS and geospatial mapping. He works on campus at KU Recycle. He joined Clean Air Now to gain applicable experience in air quality monitoring and visually mapping subsequent data. He will be responsible for gathering air quality data, and also preparing visual data to display our findings. Brian Schath is pursuing a degree in Environmental studies with a minor in Communication. Growing up in Shawnee, Brian says he has always been concerned about environmental issues since watching An Inconvenient Truth in 7th grade. He joined CleanAirNow for a chance to work on local environmental justice issues. 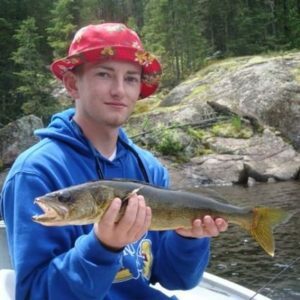 Brian is also an environmental studies student ambassador. He will be working with our air quality monitoring and idling policy. We are all very excited to be working with CleanAirNow and look forward to the projects we have planned over the next semester! Fall is finally here and we now have a new team of KU Student Interns. We will now be able to broaden our search for poor air quality from Wyandotte county, to the nearby Johnson and Douglas Counties. We have already begun to locate potential sources of diesel exhaust that pose a threat to the quality of air in Lawrence and Olathe and are beginning to take action to monitor these locations. The new additions to our coalition consist of seven new interns, all from the University of Kansas. With their help we aim to quantify the problem in Douglas and Johnson County, and train the public on the dangers of air pollution and what they can do to prevent it. 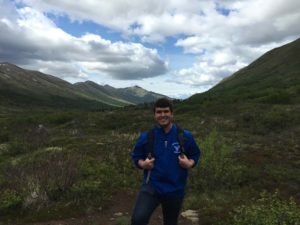 Tim Cady, a graduate student studying meteorology after receiving a bachelor’s degree in atmospheric science. Tim comes to us from Boston. He became interested in air quality issues when looking into grad school. Focusing on urban areas, Tim wants his research to have an impact on the community. Tim came to CleanAirNow on word from one of his advisors. He will be working on air quality monitoring in Johnson County, as well as Lawrence and Kansas City. He wishes to verify the problem and spread awareness to the communities affected. 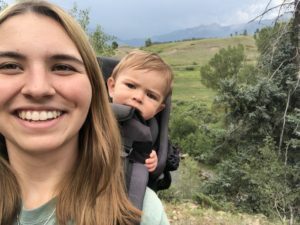 Megan Rush, another graduate student received her bachelor’s degree in environmental studies, and is now pursuing a master’s degree in environmental assessment. She also received a degree as a certified veterinary technician from Denver, Colorado. After an internship in Alaska Megan became interested in air quality issues, more specifically the effects they have on wildlife. She will be focusing on the air quality issues we face in Johnson County, and also any aid we may provide in the fight against Tyson in Tonganoxie. 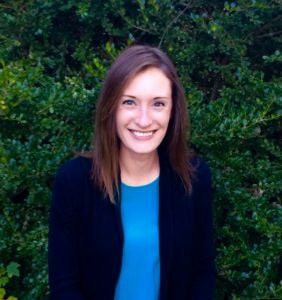 Caitlyn Sutherland is a native Kansan, and pursuing a degree in atmospheric science. 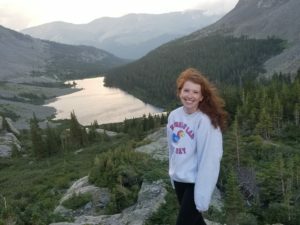 After learning of ecological issues in High School, Caitlyn decided she wanted to fight for environmental justice and conservation. She joined CleanAirNow wanting to focus on local policy issues directed at air quality. She has worked with the National Park Service in the past, and is excited to now be working at a more local level with us. She will be working on our anti idling policy in Lawrence. Kristy Mo, also from Kansas, is studying for a degree in environmental studies. Active on campus, she is also an environmental studies student ambassador, and a Student Union Activities organizer. For as long as she can remember she has been interested in environmental issues. She wants to focus on the policies we can change to harbor a clean environment. She will be working with Caitlyn on the anti-idling policy in Lawrence. 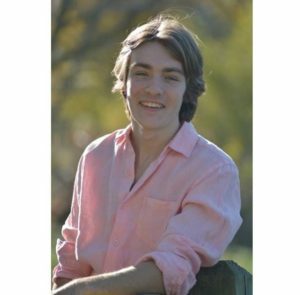 Tristan King is majoring in environmental studies and minoring in peace and conflict issues. Hailing from the midwest, King went to his first protest at the age of one, he and his mother protested the construction of a coal plant. He will be helping with the air quality monitoring and is looking forward to the expansion of the project to new areas. 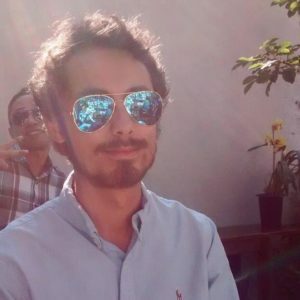 Tristan will also help with our social media presence and is looking forward to the hands on experience, as well as working with good people for a good cause. April Snay is a senior working towards her BA in Environmental Studies. Growing up in Minnesota, she spent much of her time outdoors where she first learned her love for the environment. April will help with our air quality monitoring near the Lawrence Transit Hub, as well as policy issues dealing with idling. Like many of us, she is excited about helping and educating the community on air quality issues. Brian Schath, I am also pursuing a degree in environmental studies with a minor in communication. Growing up in Shawnee I’ve been concerned about environmental issues since watching An Inconvenient Truth in 7th grade. I joined CleanAirNow for a chance to work on local environmental justice issues. I am also an environmental studies student ambassador. I will be working with our air quality monitoring, idling policy, and helping with our social media presence. We are very excited to begin working with the CleanAirNow coalition and look forward to the set of projects we have planned over the next few months! A new study of over 60 million American seniors recently shows that long-term exposure to particulate matter air pollution raises the risk of premature death of people over 65 years of age, even at levels well below U.S. Environmental Protection Agency (EPA) standards. In urban areas, diesel exhaust is one of the main sources of particulate matter, along with coal-fired power plants. “We are now providing bulletproof evidence that we breathing harmful air. It is very strong compelling evidence that currently, the safety standards are not safe enough.” Francesca Dominici, co-director of the Harvard Data Science Initiative. The study, “Air Pollution and Mortality in the Medicare Population”, published in the New England Journal of Medicine found that the risks of premature death were highest in men, low-income elders, and blacks, with blacks having mortality risks three times higher than the general population. The study authors reported that lowering particulate matter air pollution in the U.S. by just 1 microgram per cubic meter would save 12,000 lives per year. The current EPA annual average health standard for P.M. 2.5 is 12 micrograms per cubic meter. To learn more, check out the excellent NPR audio news report or other references below. Portable air pollution monitors deployed this spring by the Kansas Sierra Club and members of the CleanAirNow Coalition indicate that the health of Manhattan residents is at risk during the Flint Hills burning season. Manhattan, home to Kansas State University, is the largest population center in Kansas directly in the path of smoke moving north. The monitors showed PM2.5 fine particle levels well above the National Ambient Air Quality Standard (NAAQS) on April 7 and April 11, 2017. The results were consistent with levels measured in Lincoln, Nebraska the next day. 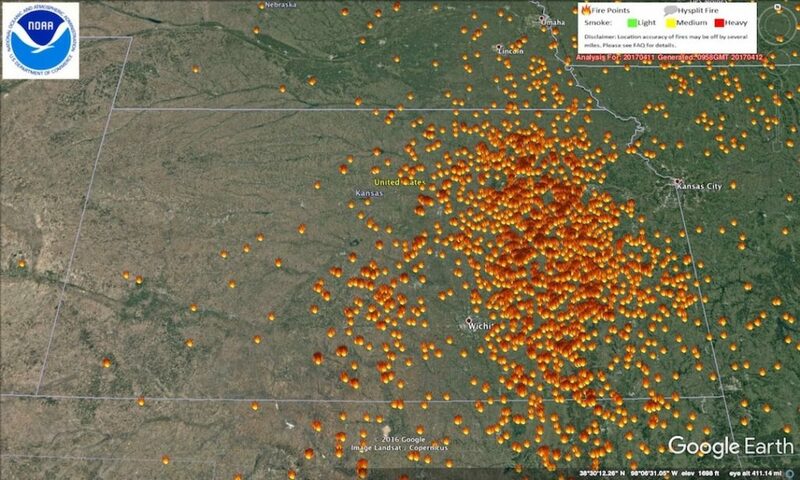 This wholesale burning has caused exceedances of the NAAQS for PM2.5 and/or ozone at monitors in Lincoln or Omaha, Nebraska this year and in each of the previous three years. There are no continuous PM2.5 monitors between Kansas City, Ks. and the Cedar Bluff Reservoir monitor near Hays, a distance of some 280 miles, capable of monitoring a northerly moving smoke plume in Kansas. “Short-term exposure to particulate matter air pollution can be deadly. It can trigger asthma attacks, and has been linked to strokes, heart attacks, and other serious health effects,” says Eric Kirkendall, Director of the Diesel Health Project and member of the CleanAirNow coalition. 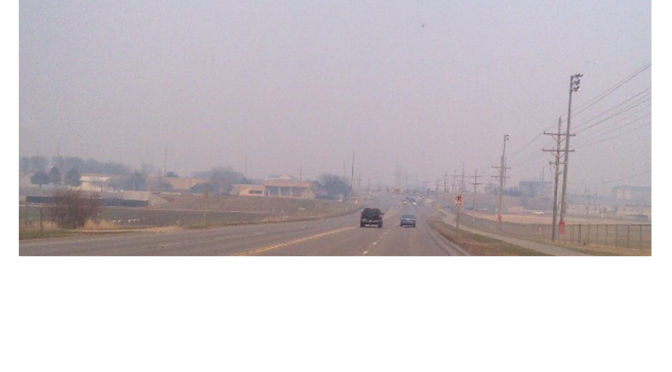 The groups are calling for KDHE to improve their ineffective 2010 Smoke Management Plan and to install continuous PM2.5 monitors to assess the health risks to small town and rural residents near the Flint Hills. 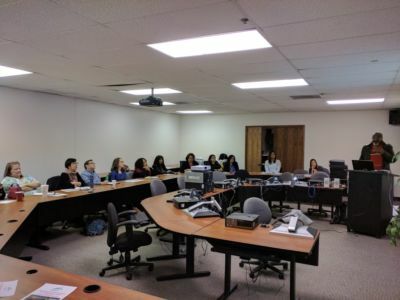 They note that, unlike Kansas, Oklahoma has installed ten continuous PM2.5 particle monitors throughout the state connected to EPA’s AirNow alert system. The full report on the monitoring project may be found on the Kansas Sierra Club website. 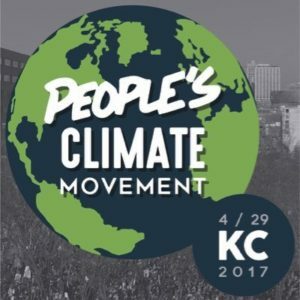 On Saturday, April 29th, CleanAirNow cosponsored the People’s Climate March and rally in Kansas City. Hundreds marched in rainy weather to protest the Trump Administration’s outright disregard for the threat of climate change. Protesters displayed solidarity in bringing attention to an administration hostile to basic environmental protections. 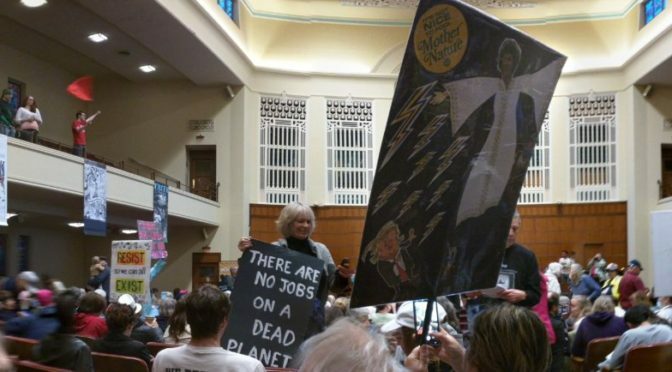 Afterwards, a rally was held that featured speakers bringing a strong, intersectional message of climate justice. It brought attention to numerous environmental issues, from personal activity to holding corporations accountable. It was a great opportunity for people to come together and demand environmental justice in these politically difficult times. 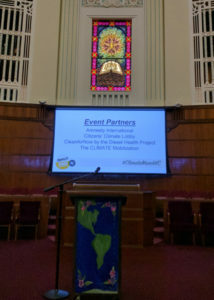 Special thanks to People’s Climate KC for organizing this event and allowing us to cosponsor. Follow them @ClimateMarchKC on Twitter! On April 29, the a rally for the People’s Climate Movement will be held in Kansas City, Missouri’s Washington Square Park from 1 PM to 3 PM. It’s a gathering of citizens, scientists, environmental advocates, social justice and labor groups who are concerned the current administration is ignoring the fact that climate change is occurring. It will feature diverse speakers to reinforce a strong message of Climate, Justice, Jobs. The rally is sponsored by the Kansas Sierra Club,Thomas Hart Benton/MO Sierra Club, 350KC, Kansas City Climate Coalition, NAACP, Sustainable Sanctuary Coalition and our partners who advocate for Climate, Justice, and Jobs, and CleanAirNow. Organizers need volunteers willing “help with setting up, taking down, shepherding the crowd, giving directions” and other tasks. You can RSVP to the rally here, and get more information through the Facebook event page. 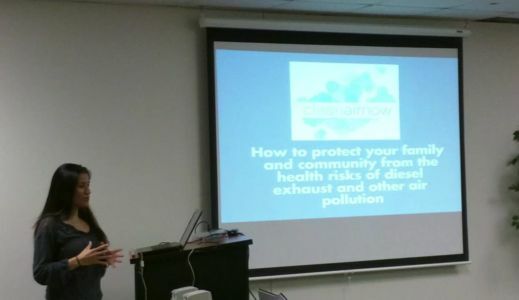 On Tuesday, March 28, CleanAirNow and the Diesel Health Project conducted a training class on the health risks of air pollution in Kansas City, Kansas, and how people can protect themselves, their family, and their community. The class focused on diesel exhaust air pollution, which can trigger asthma attacks and cause cardiovascular illness and cancer, and has been linked to many other serious diseases. 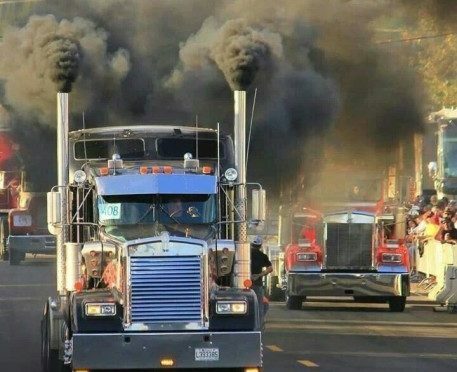 Diesel exhaust is not regulated like most dangerous air pollution, so there are no limits on how much diesel exhaust can be emitted from a freight facility like a rail yard or warehouse complex, or from truck freight transportation on a highway. As a result, while the overall air quality in a city may meet health standards, as is usually the case in Kansas City, air quality in neighborhoods near freight facilities or along highways can be very dangerous. 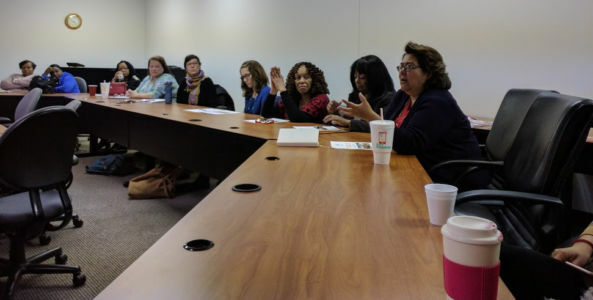 Training attendees included leaders from El Centro, the Kansas City, Kansas Housing Authority and other organizations. EPA Region 7 Environmental Justice and Air Quality Program personnel were there to provide support and answer questions. Students learned about the health effects of diesel exhaust air pollution, how they can protect their families and communities, and what the government and businesses can do to protect their constituents, employees, and neighbors. Eric Kirkendall, representing CleanAirNow, was pleased with the results of the training. “It was an excellent training class. 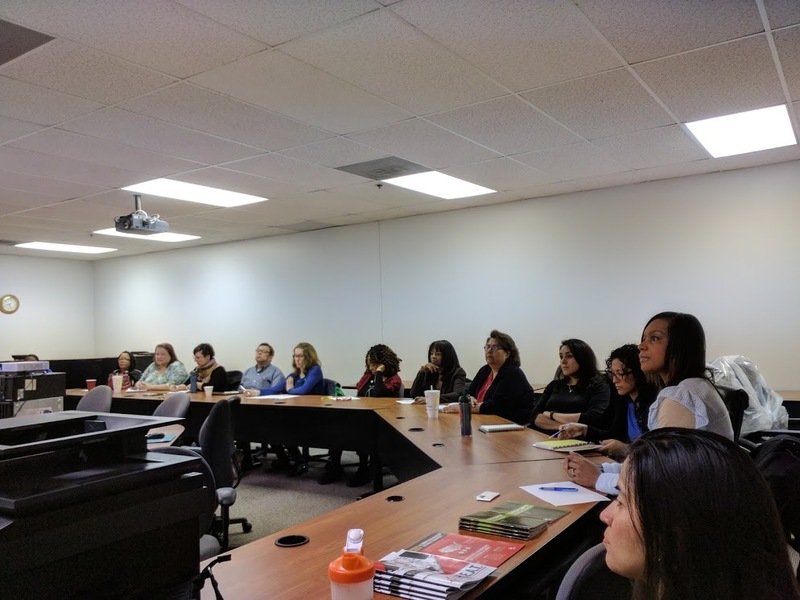 Class members were fully engaged, asked lots of great questions, and gave very positive feedback.” More training sessions are planned for later this month. The training is partially funded with an EPA environmental justice grant. Disclaimer: The content of the training class does not necessarily reflect the views of the EPA, nor is it endorsed by the agency. 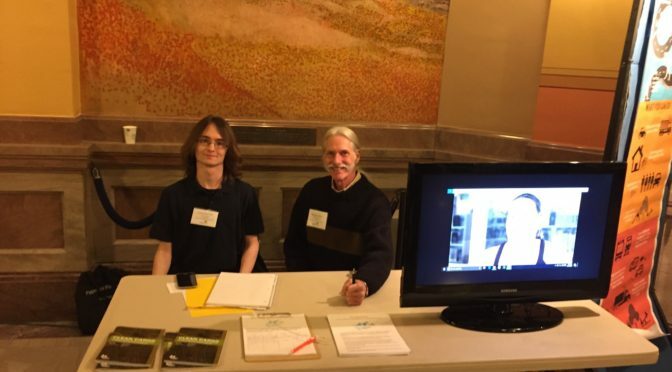 On Thursday, March 16, CleanAirNow members Daniel Beall-Hall and Michael Almon attended the Climate + Energy Project WEALTH Day at the Kansas State Capitol, and hosted a booth at the Solutions Showcase. Michael Almon is also a board member of Sustainability Action Network, fiscal sponsor of CleanAirNow. Approximately 200 people attended Wealth Day, and participated in briefings, presentations, lunch, and other activities. Other sponsors with information tables included the Kansas City, Kansas chapter of the NAACP and the Kansas Sierra Club. WEALTH Day was an excellent event and great opportunity for CleanAirNow to share information about the health effects of air pollution with elected officials and members of the public.